San Diego Central Jail is located on Front Street in downtown San Diego. 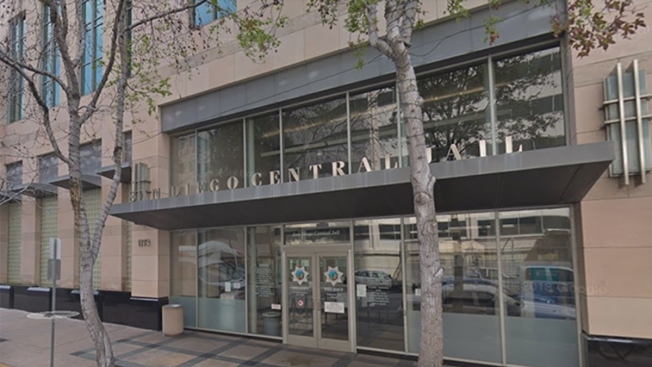 An investigation into the February death of a man who became ill while in custody at the San Diego Central Jail has determined the man died of natural causes. Michael Richard Wilson, 32, was found collapsed inside his cell just afte 8 a.m. on Thursday, Feb. 14. An autopsy done by the San Diego County Medical Examiner's Office found Wilson died of sudden cardiac arrest due to congestive heart failure and hypertrophic cardiomyopathy. Deputies gave Wilson CPR and emergency personnel rushed the inmate to a nearby hospital where he was died just before 9:30 a.m.
Wilson was jailed on a charge of assault with force likely to cause great bodily injury, officials said.